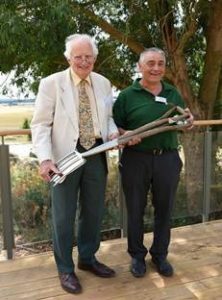 Colin Randel, product manager and vegetable expert at Suffolk-based mail order plants and seeds firm Thompson & Morgan has been presented with an engraved commemorative garden fork and spade in recognition of his 50 year contribution to horticulture. Veteran gardening writer, The Sun columnist and broadcaster Peter Seabrook, who has known Colin for many years, was on hand at RHS Garden Hyde Hall, where Thompson & Morgan was holding its press day, to make the presentation. Colin’s love of gardening started when, as a young boy, he would help in his grandmother’s garden, planting potatoes and runner beans. He left school at 16 and has been working in horticulture in one form or another since then. Colin learned much of the basics of gardening with the head gardener of the Parker-Bowles estate, Donnington Castle House in Berkshire. 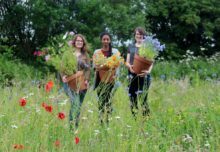 As an apprentice, he took day release to the local agricultural college to add to his practical horticultural knowledge. 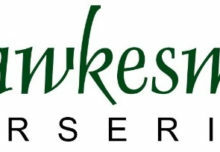 Over the next 26 years, Colin worked developing seed lines at several companies in Berkshire, Devon and Suffolk before moving to Thompson & Morgan in Ipswich in 2000 to develop the company’s seed potato business.